An introduction to buying logs on the worldwide web. Here, at Firewood Fund we’re pleased to offer you an easy way to buy cheap kiln-dried logs online. It’s been a bit of a gap in the market for a while, when you think about it. You can do your supermarket shop online, you can buy entertainment online and you can even change your insurance policy online. Yet for a long time the humble wood purchase seemed to remain dormant – relegated to sleepy village woodyards and large, rambling country estates. We decided to change that, and then further develop the way you buy cheap kiln-dried logs by allowing you the chance to save up monthly. You pay, we deliver for free. Buying your wood online is as easy as that. By buying our cheap kiln-dried logs online, you know you’re into something good – but did you know that there are so many different ways to use them? There’s something ever so comforting about imagining yourself in front of a roaring fire – you can make you fire last longer by using kiln-dried logs. They burn slower, meaning they’re more economic and they last longer. You can also keep a chimnea, a stove or a log-burner going. It’s cosy, it brings the family together and you don’t have to worry about sudden central heating bills. Remember toasting marshmallows over the fire as kid? Yeah, me too! It seems like a thing of the past, doesn’t it? But – why should it be? Why not get a fire going and warm up some of these tasty treats over your log fire? Not only that, but more and more homes and business are investing in wood-fired pizza ovens. 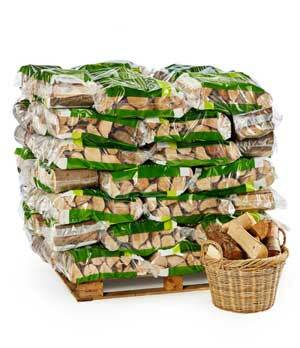 Buy cheap kiln-dried logs online with us and add some Firewood Fund flare to your Margherita. Planning a festival, or maybe a camping trip to a forest far, far away? Keep yourself warm for longer by choosing us for your wood supply, we’d be more than happy to deliver to the venue for you. We just need to know when and where – we can also supply spooky stories to go around the fire, if needs be. As you can see, there’s more than one use for a humble chunk of tree. If you think there’s anything we’ve missed, pleased let us know – we’re always looking to develop and learn. If you own a business such as a pizzeria or a pub, we’d love to hear from you too – you’ll no doubt have your own uses for wood and if you think we’d work well together then just say the word! Kiln-dried logs are the revolution that the chill in your bones have been waiting for. Damp, poorly-sourced wood doesn’t burn for very long and it can also damage your stove – so, why would you use it? Not only that, but if you buy your wood from just anywhere you don’t know how sustainable it is – we can voucher for ours, we know it comes from a forest that’s being looked after – so you can get a warm fuzzy feeling from doing a good thing, as well as from your fire! Head over to our shop page and have a look at what we’ve got to offer. Firewood can be expensive, that’s a given – so, if it would be easier for you, you could save up monthly with us until you’re ready to make a purchase. It’d be your very own wood ‘shavings’ account… Save Towards Firewood.